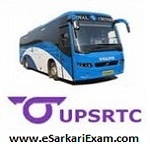 Eligible Candidates can Download Conductor Result at the Official Website of UPSRTC. Click on Recruitment Link of Region Applied at Home Page. Open Merit List PDF Link. Check Result By Using Name, DOB.